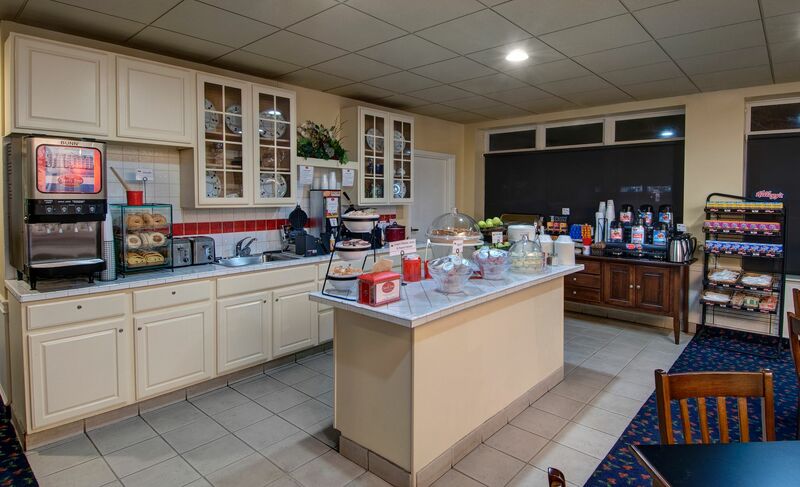 At the Cherry Tree Inn & Suites, we offer an extensive list of modern amenities so you can make the most of your stay. No matter what brings you to Traverse City, we have something for everyone. Enjoy complimentary breakfasts daily and choose from a variety of morning staples such as fresh fruit, eggs, breads, and hot and cold cereals. Stop by our waffle station for ready-to-make hot waffles or enjoy rosemary hash browns and biscuits with sausage gravy. We carry a variety of teas and juices, as well as locally roasted and ground coffee, available 24/7. No matter what time of year you visit Traverse City, the Cherry Tree Inn offers both an indoor and outdoor pool area to help you relax. In warmer months, enjoy our bayside heated outdoor pool and soak in our outdoor spa, open year-round. You can also take a dip in our spacious indoor pool and spa any time of the year and unwind in our infrared sauna—perfect to warm you up during our colder months. Plus, if you get hungry, look no further than the Poolside Grill & Bar. Whether you need transportation to and from the Cherry Capital Airport or you need a ride to a nearby attraction or conference, the Cherry Tree Inn & Suites offers convenient complimentary shuttle service to get you there. Let us drop you off in Downtown Traverse City for a fun day of shopping or visit Turtle Creek Casino if you’re feeling lucky. No matter what your transportation needs, the Cherry Tree Inn is happy to help. Reservations are recommended and shuttle service is based on driver availability. At Sandy’s Sweet Shoppe, we have everything you need to satisfy your sweetest cravings. We carry Moomer’s award-winning ice cream and other local treats such as items from the Great Lakes Potato Chip Co., Benjamin Twiggs Legendary Cherry Products and Leelanau Coffee Roasting Company. We also have all of your non-sweet essentials like trail mix, pain relievers and other toiletries.